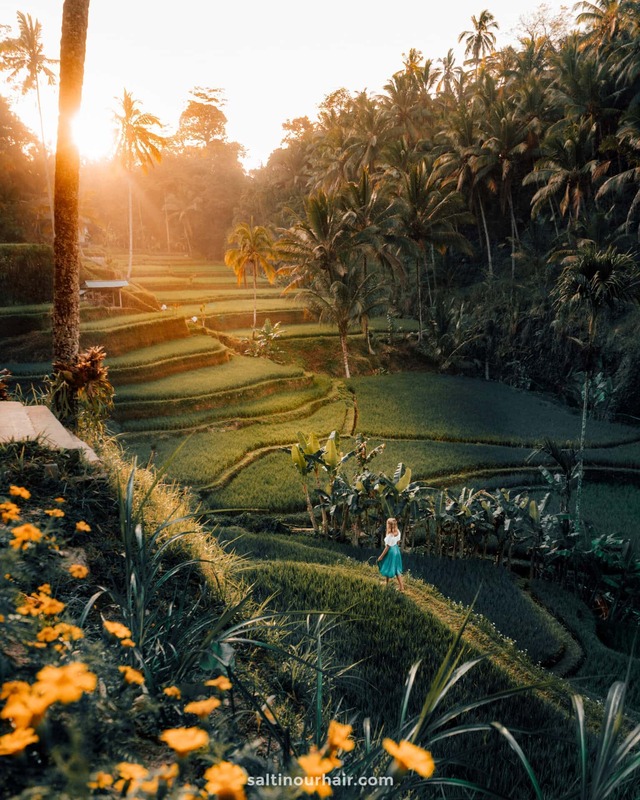 The Tegalalang Rice Terraces is one of the main things to do in Ubud. 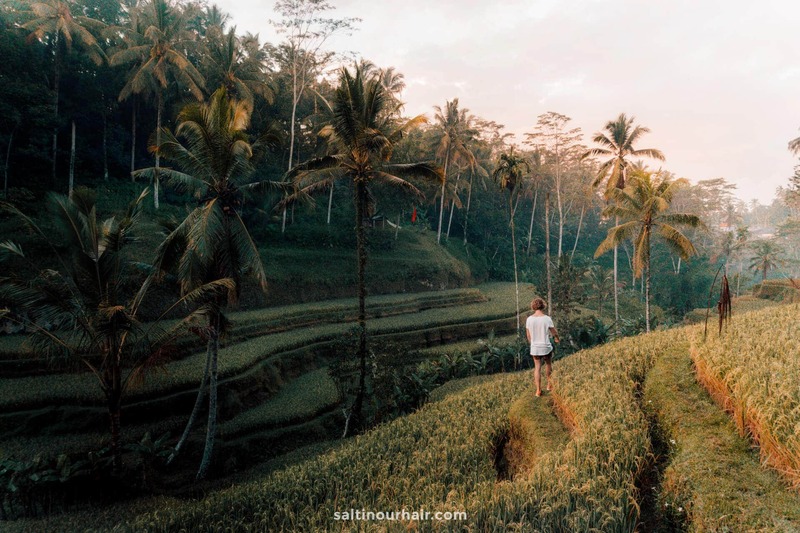 This valley of rice paddies, located north of Ubud has some jaw-dropping views and is a great area to wander around. Explore all the different levels, have a swing, and of course a lot of photos. 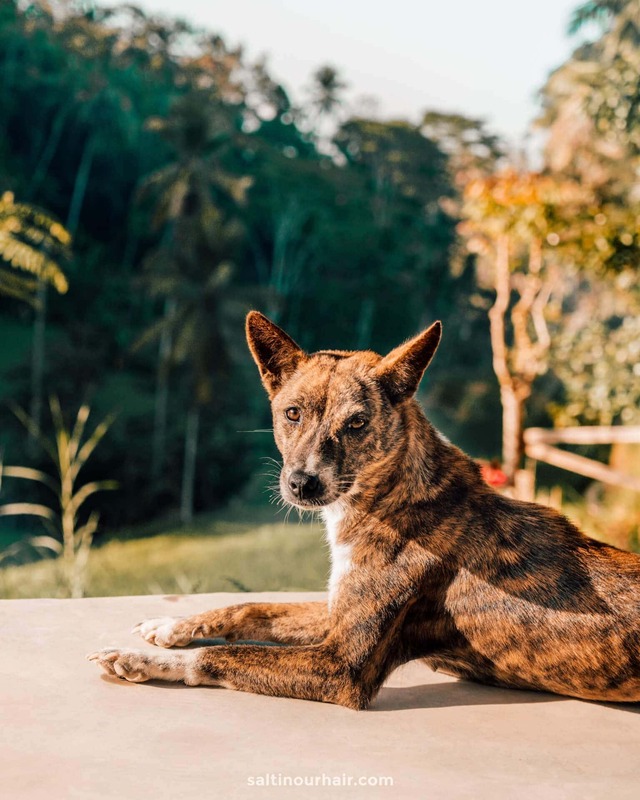 Tegalalang is an easy 20-minute drive from Ubud and is something you must do in Bali. Tegalalang is best to visit during the morning time. Busses with visitors usually around after 10 AM. The entrance is easily located on the side of the road. Loads of small cafes overlooking the rice terraces are located on this side. Walk down into the valley until you pass a little bridge. From there, hike back up to the other side of the Tegalalang Rice Terraces. The total walk only takes 10-15 minutes. 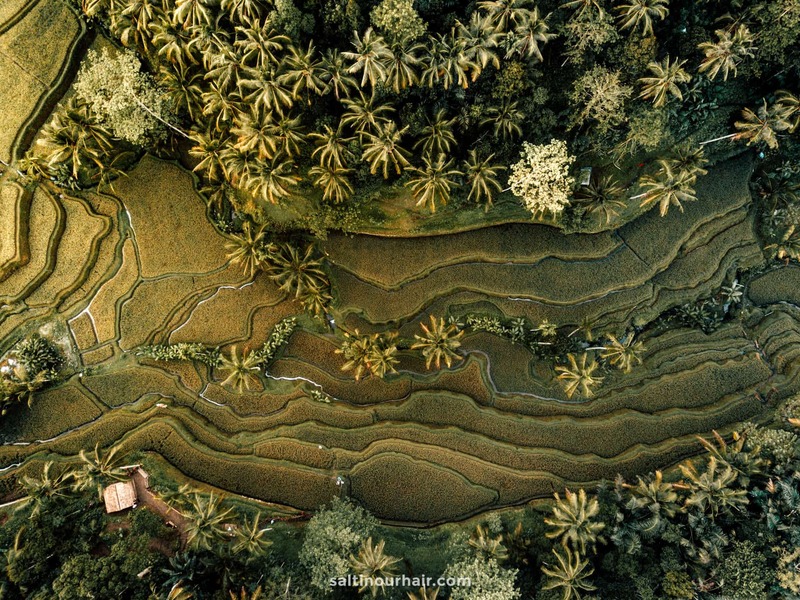 To explore every corner of the rice terraces you need anywhere from 30 – 90 minutes. Make sure to take water and sunscreen. 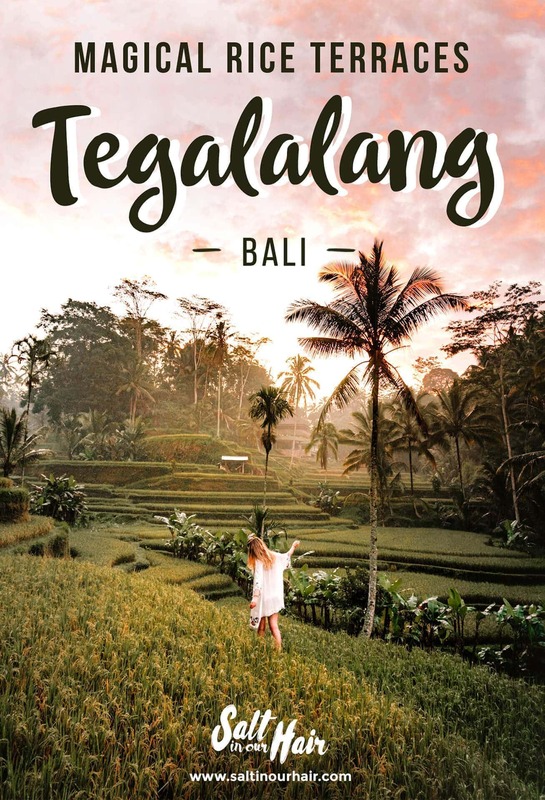 It is best to visit Tegalalang from Ubud. The 20-minute drive is easy to do by motorbike. Even better is to combine Tegalalang with one of the many waterfalls in the area. By following our Bali Waterfall Route you will have an even more incredible time in Bali. From Canggu, it is an easy but relatively long drive. You can rent a motorbike for ± 60000 IDR a day and drive towards the rice terraces. Once you will pass the little bridge there will be asked for donations. These are all 10000 IDR (0.70 USD) per donation. Which is a fair amount if you consider that people are walking and sometimes destroying their fields. Most rice fields are closed with fences if you like to pass those for a photo, a payment of 50000 IDR will be asked. Yes, these farmers make good money. We do think it is totally worth it. Due to the popularity of Tegalalang, a lot of attractions has been opening in 2018. The world famous Bali swings are now also located all around the valley. A 3-5-minute swing costs you between 100000 – 150000 IDR (8 USD). We don’t really prefer to support these swings since it takes away the pure beauty of the valley. 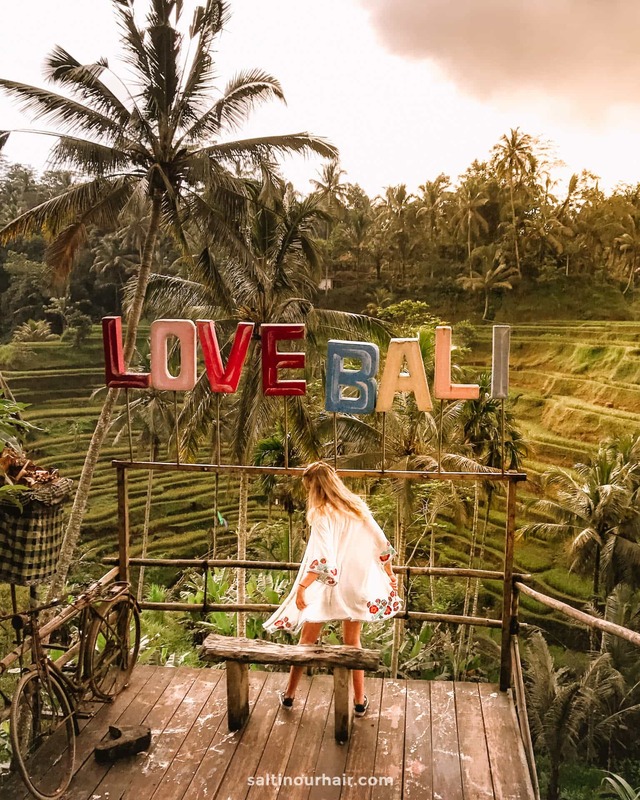 Tegalalang has also become famous for its ‘Love Bali’ signs. Both the Bali swings and the love Bali signs are on the roadside of the valley. You don’t have to walk down the valley. Rice or no rice, Tegalalang is beautiful year round. The best time to visit Tegalang is in the early morning, before 10 AM, or late afternoon. 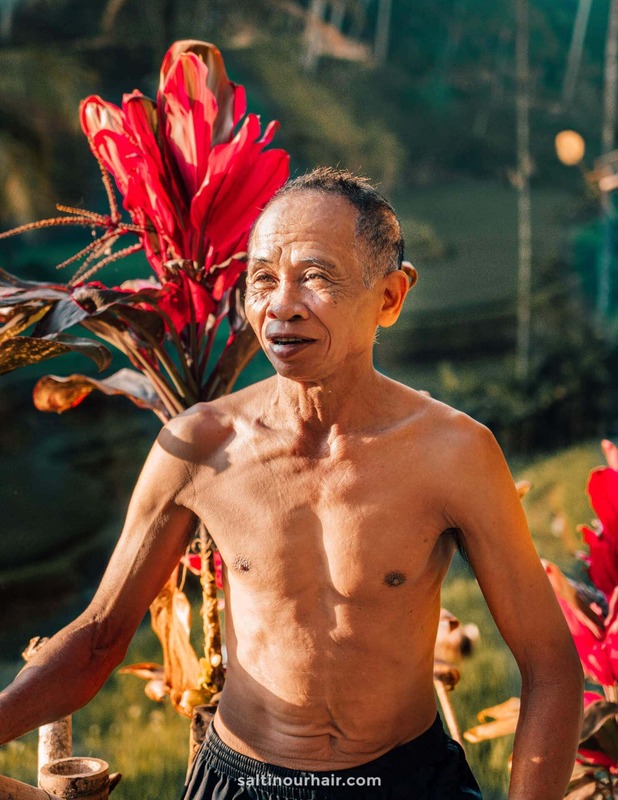 It is a fast and easy visit from Ubud. If it rains, just wait a little while until it passes. Luxury stay in the Jungle of Ubud! Even more luxury? 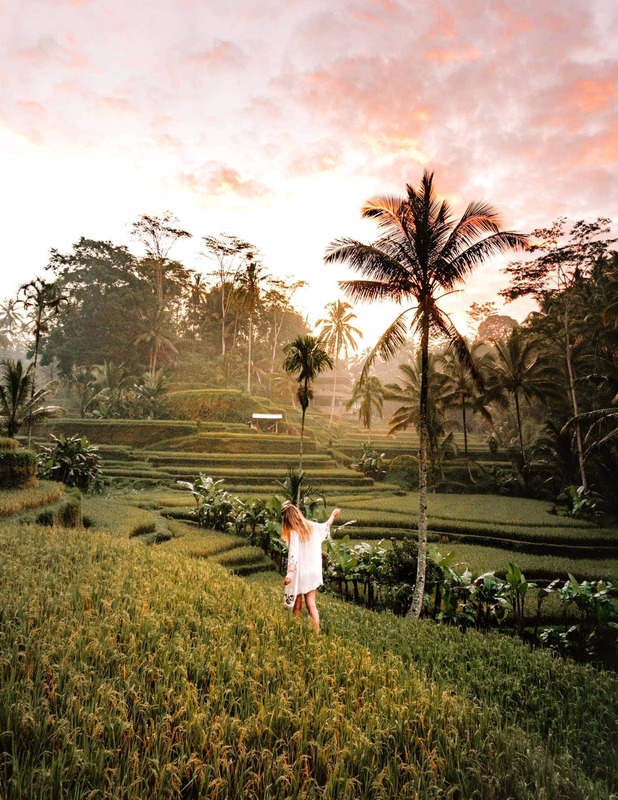 Choose Maya Ubud! Surrounded by rice paddies, for only $20 a night.